Influenced by the uncertainties and differences of the variations of precipitation abundance, the water source area of a water transfer project is different from the water receiving area, which will lead to risks for the operation of the water transfer project. In this article, expressions for the exceedance probabilities of wet vs. dry conditions were constructed on the basis of the copula joint distribution function. The flood season, non-flood season, and annual precipitation data from the Jvxian and Rizhao stations of the Shuhe to Futuan Water Transfer Project (SFWTP) were used for the analysis of synchronous and asynchronous exceedance probabilities. The computed results demonstrate that synchronous exceedance probabilities were greater than asynchronous exceedance probabilities via the analysis of the flood season, non-flood season, and annual precipitation, and the favorable probability is largest during the flood season. In order to maximize the SFWTP benefit, it is essential to increase urban water supply in the non-flood season, and transport water in the flood season to Rizhao reservoir. To further analyze the impacts of climate change on exceedance probability, the precipitation data were divided into two sub-periods by Pettitt test. In last sub-period, favorable probabilities increased with the decrease of synchronous exceedance probability in all timescales, which suggests that there are positive impacts of climate change on the exceedance probabilities. 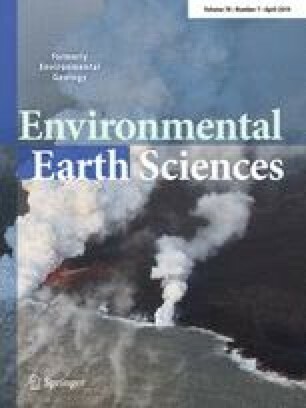 This article is a part of a Topical Collection in Environmental Earth Sciences on Climate Effects on Water Resources, edited by Drs. Zongzhi Wang and Yanqing Lian. This research was supported by the National Key R & D Program (2016YFC0400906), the National Natural Science Foundation of China (51409169) and Technology demonstration project of Ministry of Water Resources of China (SF-201803).